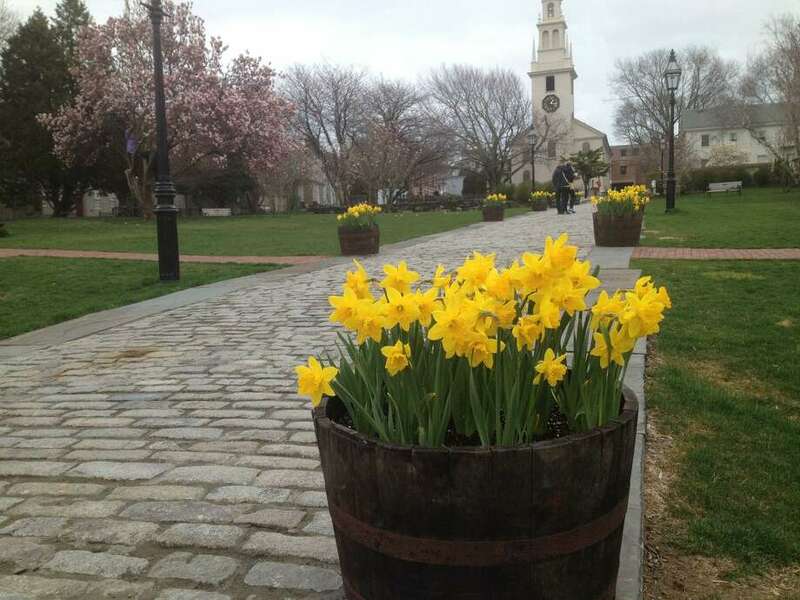 Daffodil Days are returning to Newport, R.I.
Gearing up for high season, two New England destinations are enticing visitors with flowers. Those sunny-yellow things that pop out of the ground each spring, to be exact. On Nantucket Island, the annual Daffodil Festival is the last weekend in April. Art shows, tours and promenades — including the antique car parade that was its original main attraction in the 1970s — are on the schedule. The Nantucket Island Chamber of Commerce organizes a Daffy Hat Contest, a Children’s Parade featuring decorated bikes, strollers, wagons and other self-propelled vehicles as well as the famous Sconset Tailgate Picnic. The Pine Woods Morris Dancers perform often at various locations. Visit nantucket.net. Rhode Island’s city by the sea has its own garden-variety spring kickoff. For Newport’s Daffodil Days Festival, April 13-21, volunteers planted over a million bulbs. A highlight is the Driving Miss Daffodil Classic Car Parade on April 20. That same day, stroll through the magnificent daffodil-adorned gardens at an 18th-century inn, Bellevue House, where Dances Among the Daffodils is performed by the Rhode Island Ballet Theater. Visit newportdaffydays.com.